Shane McMillan is a native of western Montana and graduated from the School of Journalism in 2010, at which point he moved to Berlin on a Fulbright scholarship. He interned as a photographer with the Associated Press, and worked as an English translator for German film projects. It was this second gig that helped push him into a career as a freelancer, landing him a spot on the production crew of “Can’t Be Silent,” a documentary film about a group of refugee musicians in Germany. 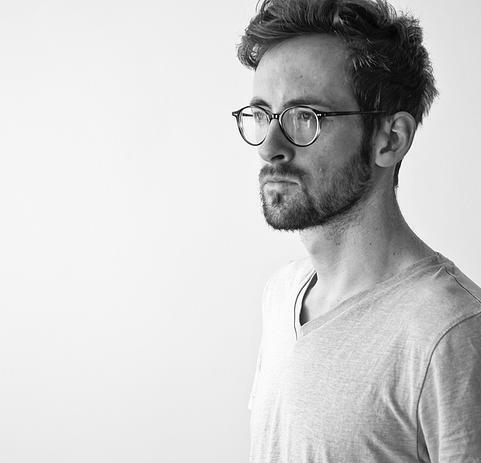 Since first moving to Berlin McMillan has been working as a freelance photojournalist and filmmaker, with work published in the New York Times, the Guardian and PRI’s The World, among other places. You can read more about McMillan and see his work on his website. I asked McMillan if he had advice for any journalism students who might hope to make it as freelancers abroad. “Just, like, make it,” he said laughing. “Just work hard and do good work and keep in touch with people who you’ve done good work for.” McMillan focuses his work on human rights because it’s what he calls the thing he’s most likely to get in a bar fight about. “Try to make things that people want to see or care about,” he counsels. McMillan says he highly values the many facets of his education at the School of Journalism, he says, believing it was one of the reasons he landed a job in documentary film making. “I could write, I could do TV, I could do radio and I could take photos,” he said. Friday, November 13th, McMillan was editing work in an apartment he says practically touched the Bataclan concert hall in Paris as the terrorist attacks began. He was in town for a photography festival, part of his work as studio manager for celebrated fine art photographer Nan Goldin. As it became clear that they were not hearing fireworks but instead sustained gunfire, Goldin and McMillan tried to figure out what was going on and debated leaving the building. “I really didn’t want to go outside that much,” McMillan said, but eventually he followed Goldin down the stairs. They walked into a triage center. Police officers had been breaking into courtyards along their block to set up casualty centers for the injured, many of whom were severely hurt. McMillan said he found out the next day that three people died in their courtyard alone. The two photographers began shooting photos once they got outside, but police forced them to stop. McMillan was sent out into the street, while Goldin was made to return inside. On the street, McMillan said, his “natural instinct to shoot” as a journalist quickly faded. “People were very opposed to me taking photographs or even having my camera there,” he said. He decided they were right. McMillan said he didn’t feel like his photography could accurately portray the scene, and didn’t end up taking very many pictures on Friday. “I didn’t feel like photographing that night because I really just wanted to talk to people,” he said. Instead, he received a text from Anne Bailey at Public Radio International’s The World program. A former adjunct professor and fellow graduate of the School of Journalism, Bailey asked McMillan if he was in Paris. He then started reporting for PRI via phone and text message, describing what he was seeing, which he called a surreal experience. “Without being inside of that place (the Bataclan) I was about as close as anyone was, or at least any journalist was,” he said. Read McMillan’s and Bailey’s story on the PRI website. Far from providing a scoop, this proximity tested McMillan’s training as a journalist. He didn’t want to ask the trademark questions a breaking news journalist would, like asking people to describe their experiences and how they were feeling inside and outside the concert hall. “In that moment it was just too much of a violation of their need to process what just happened,” he said. Instead he helped people. He asked simple questions and talked with those he thought were ready to do so. If someone was ready to talk, he said, you could see it in their face. “That may or may not be what they would tell you to do in journalism school but I strongly believe that you have to come to situations like this as a person first,” McMillan says. While answering my questions via video, and remembering Friday night, McMillan was visibly upset. However he said he was strangely calm at the time. Bailey, from PRI, helped a lot by talking him through the reporting via text. McMillan described a man he spoke with who was looking for his girlfriend. The couple had been separated during the concert, and the man was unsure if she was alive or not. There was blood on the man, and by now, McMillan would like to know if she was all right. At the time, he said, it was very hard to know whether he should share that kind of story or not. “It was a lot of really intense decisions made in a very quick turnaround,” McMillan says. He did not give the man’s story to media at the time. At first he was being called by a lot of big media outlets, with whom he has now stopped talking, having tired of giving eyewitness accounts. He answered my questions from a hotel room in Geneva, Switzerland. McMillan will be working with the School of Journalism as their local facilitator and trainer in Berlin for a study abroad trip this summer. Students will be reporting stories from the influx of refugees to Germany and Europe. The documentary McMillan worked on will be showing at 6:30 pm on November 18th in The Payne Family Native American Center.